This is an article that I originally published on the Texas State Genealogical Society’s blog in January 2016. It has been slightly updated and modified. My ancestral connections to Texas have been a recent discovery, despite actively researching my family history for 20 years, and they occur entirely on the Hispanic branches of my family tree. 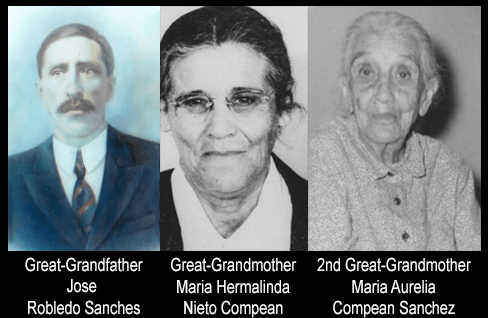 My Mexican immigrant ancestors, who immigrated to the United States via Laredo, Texas during the Mexican Revolution. From the personal files of Colleen Greene. I learned in 2003 from her U.S. Petition for Naturalization that my father’s grandmother, my great-grandmother Maria Hermalinda Nieto Compean de Robledo (1887-1974), immigrated from central Mexico to the United States in 1915 via the footbridge connecting Nuevo Laredo, Mexico with Laredo, Webb County, Texas.1 I have identified additional ancestors and an extended family network, who also crossed into the U.S. at this same entry point during the Mexican Revolution. In the fall of 2015, I learned the identity of my biological father (I was adopted as an infant)—Richard De Leon (1950-2003), a lifelong Californian. Richard’s father, however, was a native Texan of Mexican descent. I immediately traced Richard’s paternal line back to the Goliad area in the 1880s, and am currently attempting to dig further back. These records are critical for those of us with ancestors and relatives who immigrated from Mexico during the early to mid 20th century, and particularly during the violent Mexican Revolution. The records can be located and reviewed from the comfort of your own home, through select libraries, or by rolling up your sleeves and scrolling through microfilm. Available on Ancestry.com, with a paid subscription. Available for free on Ancestry Library Edition, through participating libraries. 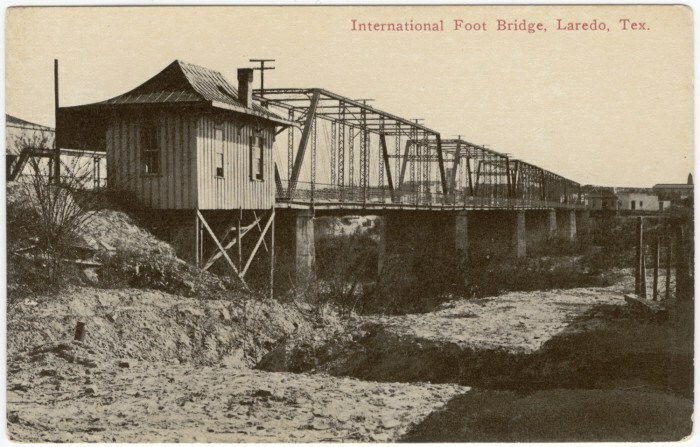 FamilySearch does not own this digitized collection (see: Online Indexes), but if you are looking for family who crossed at Laredo, Texas (like mine), they do have digitized images for this database. Available at the U.S. National Archives & Records Administration (NARA). Available through the FamilySearch Library. FamilySearch provides a free searchable index (“United States Border Crossings from Mexico to United States, 1903-1957”) of the records available on Ancestry. These articles and guides provide useful tips for analyzing the records. How did the Mexican Revolution-Era border between Texas and Mexico impact YOUR family history? Please use the Comments form below to share your story with us.